In the past year Snippy has built up a good relationship with the owners/Course Director of Blue Guru, after being a customer once on one of their trips. The relationship evolved from customer to be a counter-conversation partner in Eco-related topics and asking each other’s input and help for this. This resulted in the request to come and join the Blue Guru team on Koh Phra Thong for the coming High Season. Where is Koh Phra Thong? It is still located in Thailand. To be precise it is on the Andaman sea side of South Thailand towards the Burmese border. The island is 88 km² big. The island is the centre island of a 3-island chain. According to the owners of it is one of the few last real (non-commercialized) tropical islands in Thailand. It is mainly flat and holds an inland savannah and beholds unoccupied long beaches marked of with coconut palm trees. Just out of the island you can find several small islands and rock formations that behold beautiful corals and marine life that can be seen by snorkelling. The inhabitants of Phra Thongs, Moken – a rare sea gypsy tribe – and Thais, live in 2 main villages on the island. For people on Holiday the island offers 4 different resorts ranging from budget bungalows to high-end villas. More north of the island is Koh Ra; this island is mountainous and is home to an old rainforest. The island is not inviting for humans to live on, but you can find loads of different animals on the island. Due to the rainforest and the abundance of animal life the island is a good place for trekking tours. To the south you can find the island of Koh Kho Khao. This island shows a lot of similarities with Koh Phra Thong, with the difference that it attracts more people as it is used as a less crowded beach by visitors of Khao Lak. Next to the rainforest on Koh Ra and savannah on Koh Phra Thong, the main – underwater - eco systems of the islands consist of Mangroves, Sea grass beds and Corals. These eco-systems invite visitors to activities such as Snorkelling, Kayaking, hiking and trekking and of course scuba diving. Or just lay your head down on one of the beaches. how will the work look like? I cannot tell exactly how it will look like, until I am there of course. But what I do know is, is the Blue Guru Diving is a small team with a high focus on Customer Experience, on Local community support and the environment. Blue Guru is a 100% Project Aware dive shop, which means that a donation is made by the shop for every completed course. The benefit for the customer is next to a course with high standard and environment friendly course, the customer will get a certification card with a beautiful underwater image. They also are a member of Green fins. To support the environment and community they also host 3 eco-tourism internships. So interns, amongst others, will learn about the travel and eco-tourism, participate in marine conservation projects and learn more about Thai culture and language. - Reef Watch, former Reef Guardian by Sampan, in which they are responsible for monitoring two reefs in Surin Islands. - Ecocean: contributing with data on sighted whalesharks during the season. 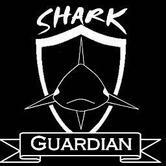 - eShark Thailand: a project in cooperation with SharkGuardian to monitor shark sightings, but also non-sightings during the dives. basically the diving can be divided into some areas, based on their website. 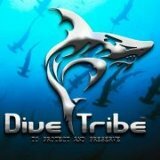 - Local diving: Koh Phra Thong: These dive sites are solely dived on by the Blue Guru Staff and Customers. So you can find unspoiled or even undiscovered dive sites and underwater life, like seahorses, cuttlefish and whiprays just to give some examples. - Richelieu Rock: maybe Thailand’s most famous rock/dive site. And just a few hours away from the island. Awesome topography, macro life, amazing fish schools and chances to see the pelagics is what this divesite offers you. - Koh Tachai: can be dived on by novice or experienced divers as it provides a reef and pinnacle dive. This island is also known for attracting the big pelagics as Whale Sharks and Manta Rays. - Surin Islands: the islands provide you with a big choice of diving environments, from Boulder reefs to hard coral reefs. And offer loads of various sightings as Leopard Sharks, Blacktip Reefsharks, Ghost pipefish and many more. They also organize live aboard trips around the islands – Burma, Similan, Surin - Their most popular trip being a 2-day trip to Richelieu Rock and Surin Islands, in which you dive the beautiful and amazing Richelieu Rock 4times! Snippy’s Snaps Diving is looking forward to the relocation and the prospect of Amazing dives and sightings. Enhancing my skills and knowledge by working on all the eco-projects, including hopefully a big personal touch, is a big bonus. Come visit and Dive with us on Koh Phra Thong from November to April.